Home / History / History of English Literature / Honours 3rd Year / Addison and Steele as the Pioneer of English Novel. 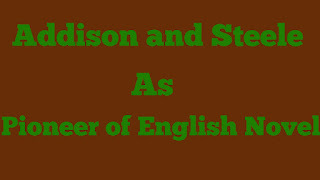 Addison and Steele as the Pioneer of English Novel. A pioneer is someone who shows to something which was not before him. The term 'pioneer of novel’ is implied to someone who give the way way of writing novel when it is not introduced yet. Addison and Steele belonged at the age of Dryden and Pope when novel was not introduced. At that time they wrote some essays which bear almost all the features of a novel. That's why they are called to be the pioneer of English novel. If compare their essays with the features of a successful novel, we will get that their essays are almost like a novel. (i) Length: Length is a key factor of a prose to be a novel. According to some critics, a novel must be 70,000 to 120,000 words long. Though Addison and Steele's essays are not so long as a novel, but if we combine their all essays with same topic like Sir Roger series, we will get a perfect length. They Write a novel and divided it into several parts and then published it. So, the first condition is fulfilled but not directly rather indirectly. 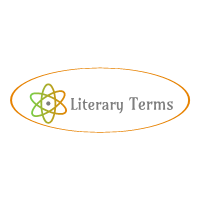 (ii) Fictious Prose: A novel must be a fictional prose. Fictional means something which is imaginative not real. And prose means not verse. So, to be a novel, a writing must be fictional prose. Addison and Steele wrote their essays from their imagination and in prose form. All the characters are Fictious not real. In this case, their essays fulfill the condition of be a novel. (iii) Characters: Characters are must for a novel. Every novel must have some characters. The characters bear the different view of the plot and develop it. Addison and Steele use characters in their essays. Their major characters are-- Sir Roger, Templar, Sir Andrew Freeport, Captain Sentry and Will Honeycomb. All the characters, their deeds and creeds are imaginative. Another condition is fulfilled. (iv) Others: Among other qualities of a novel-- representation of contemporary society, ending moral of the story and some definite purposes. Addison and Steele aslo follow these conditions. Their essays represent 17th century English sociey. Their purpose of writing these essays is “to enliven morality with wit” and “To temper wit with morality”. Every story of their essays has a moral. So, in conclusion, it can be said that, before novel came, they pave the way to write a novel by their essays. So, they can be called pioneer of English novel.